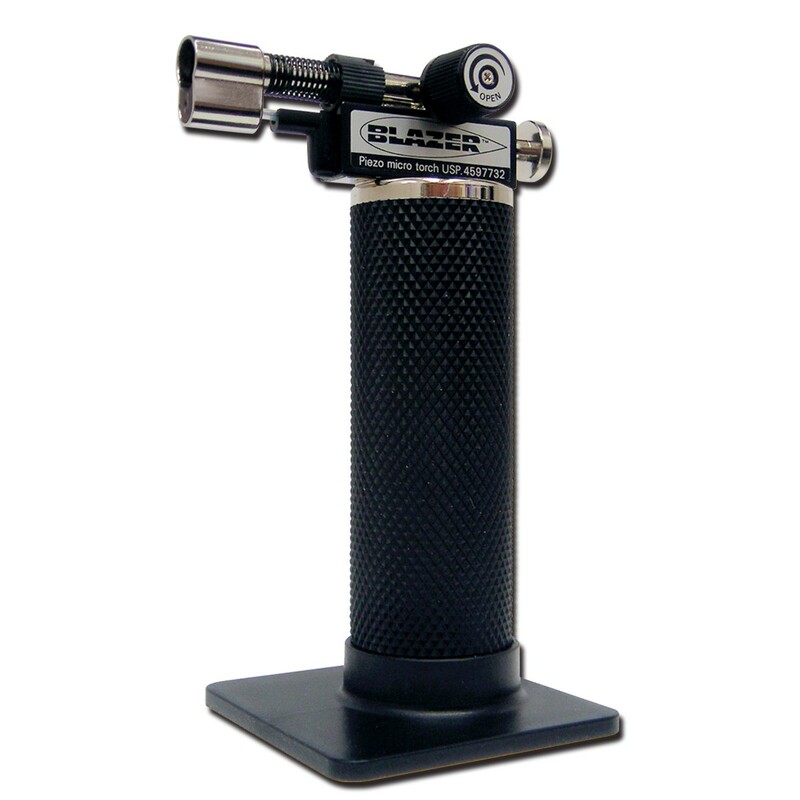 The original BLAZER hand-held butane refillable micro torch featuring the state-of-the-art Piezo Quartz Crystal Electronic instant ignition. The GB 2001 features a powerful 2500ºF butane blue torch flame and air flow adjustment dial for superior flame controlwith pin point accuracy at your finger tips. The main tank body features a diamond grid design for a superior, and extra safe, grip. The GB2001 also includes a detachable base for hands free table-top work. The first Micro Torch available worldwide and still the best.